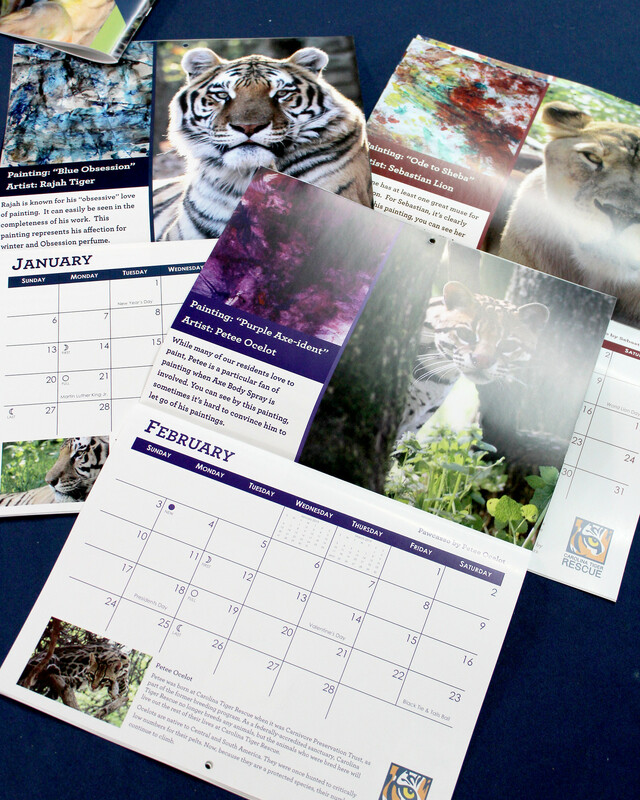 2019 Calendars and Coloring Books are Here! The 2019 Pawcasso calendar is here and it’s sure to brighten up your desk with playful masterpieces created by our furry friends. You’ll love to flip the page to sneak peeks at the upcoming months’ images. Tio’s Reflection on Spring is particularly compelling, with vibrant colors and lots of movement. Naturally, Lily and Macano Coatimundi made Together… well, together, as a team. 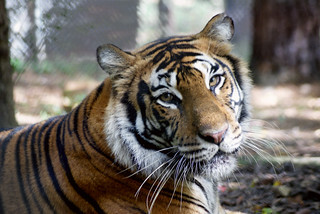 Rajah’s Blue Obsession is inspired by his favorite enrichment scent, Calvin Klein’s Obsession. Painting is a form of enrichment we use to allow our animals to use their instincts in new and exciting ways. We pour the colorful egg-based tempera paint onto paper and encourage animals to playfully pounce, smear, lick, kick and mash the paint around the page. If you’re interested in participating, contact us and we can help you schedule a really cool experience. Because most of our rescues never had the chance to make decisions (do I want to run through tall grass or crouch near a rock?) we always allow them the option to participate in any enrichment activity we think they’d like but never force it. Don’t miss all of our favorite animal masterpieces. With this detailed and accurate coloring book, coloring enthusiasts of all ages can set out on a safari through the animal kingdom, learning to recognize and identify a host of the world’s wild creatures. Our coloring books feature all of the distinctive and intriguing animals that we currently have in our sanctuary. 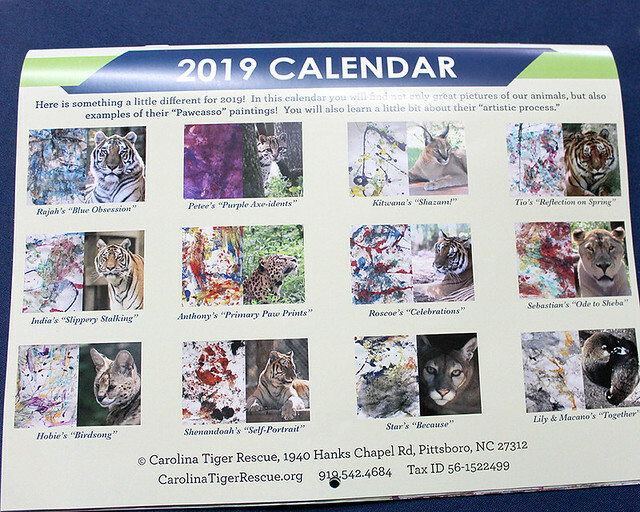 Well-researched and carefully drawn, each page is custom-illustrated only for Carolina Tiger Rescue and features animals in our sanctuary, like tigers, cougars and coatimundi. Great for any age, these are a wonderful opportunity to make the acquaintance of a variety of animals from many different regions and habitats. These gorgeous books are 8.5 x 11″ with a high quality, full color cover. 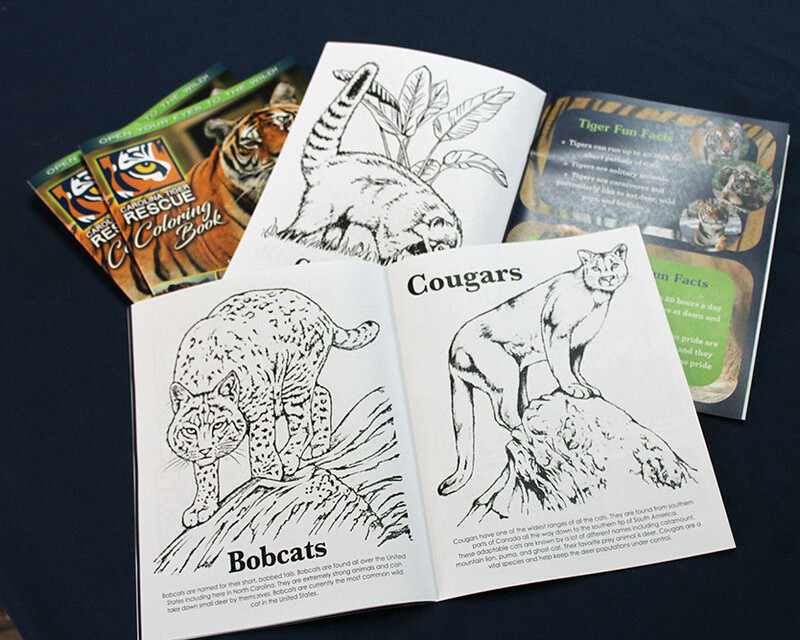 Full-color fun facts are included in the center spread so you can learn more before your next visit. Our animals thank you for your support. The proceeds for this purchase go directly to the feeding, care and well-being of the 49 tigers, ocelots, lions and other species that live here.